Originally created in Flash, this site was redone in HTML and CSS. Project included logo design, page design, and HTML/CSS coding. 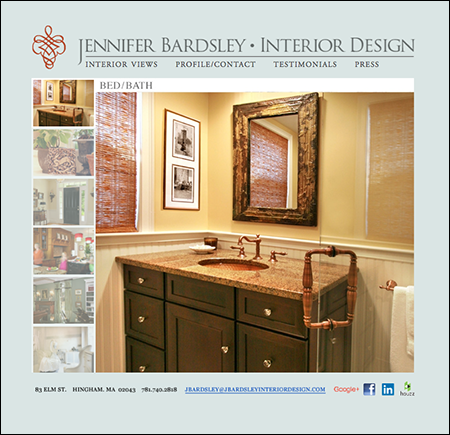 Client: Jennifer Bardsley Interior Design.